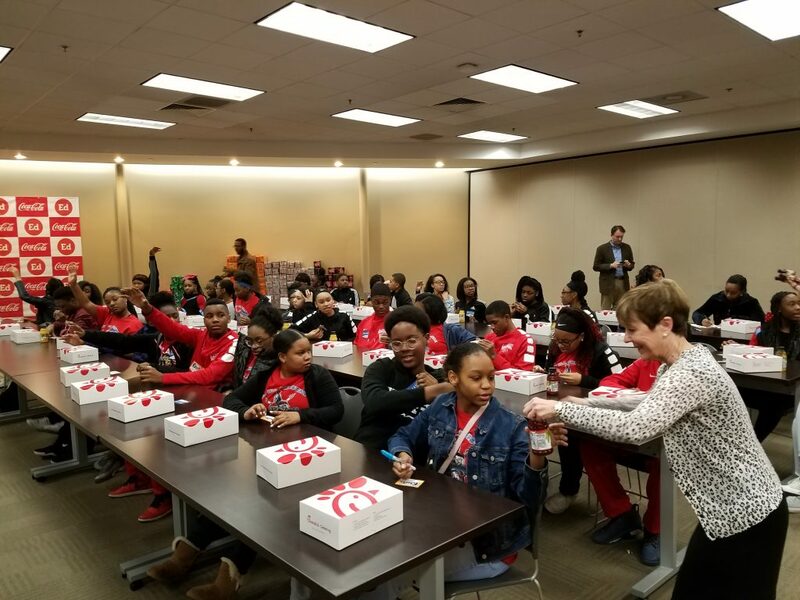 One of the many great things Birmingham Education Foundation does for students is creating experiences that inspire, prepare and educate students to plan for their future. 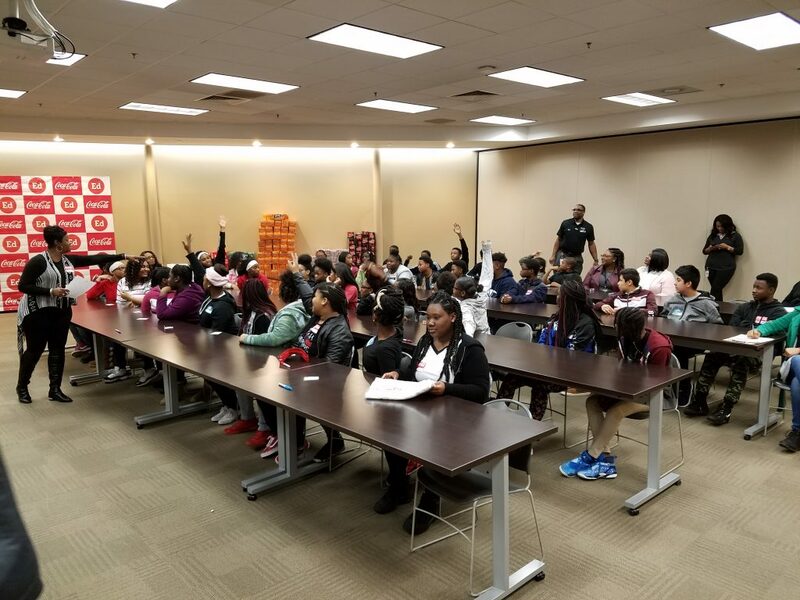 One of those experiences is the Birmingham Education Foundation Career Day which was held here at Birmingham Coca-Cola Bottling Company. 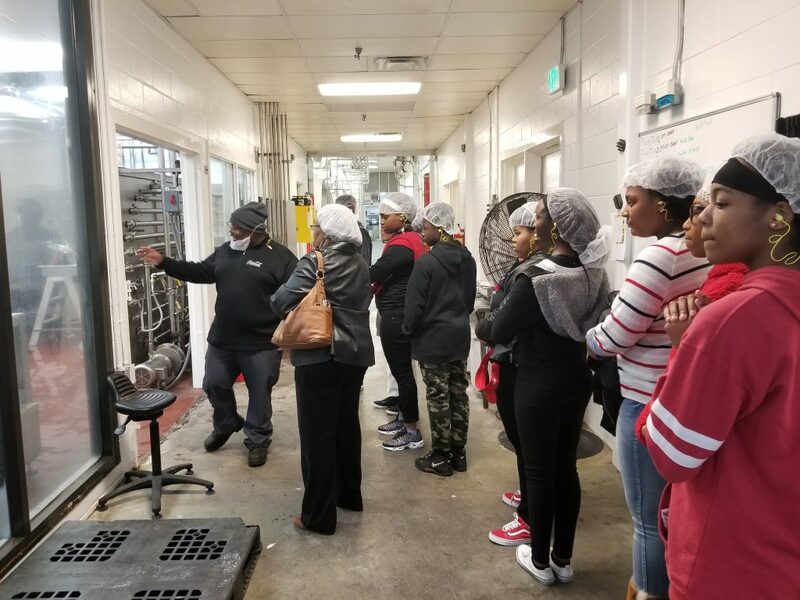 Eighty students from two Birmingham City Schools spent a day together learning and having fun. 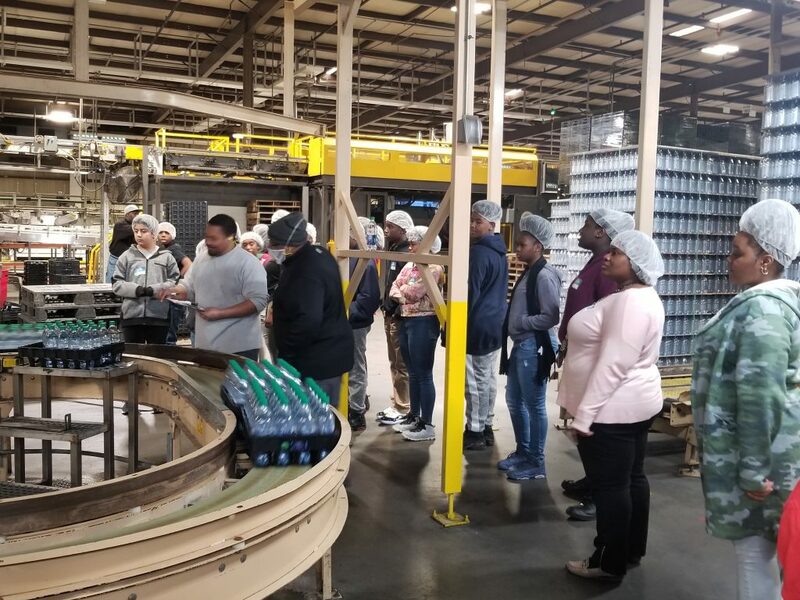 During the day, students learned about the rich history of Birmingham Coca-Cola as a local bottler, career opportunities and requirements, and took tour of our production and warehouse operations. 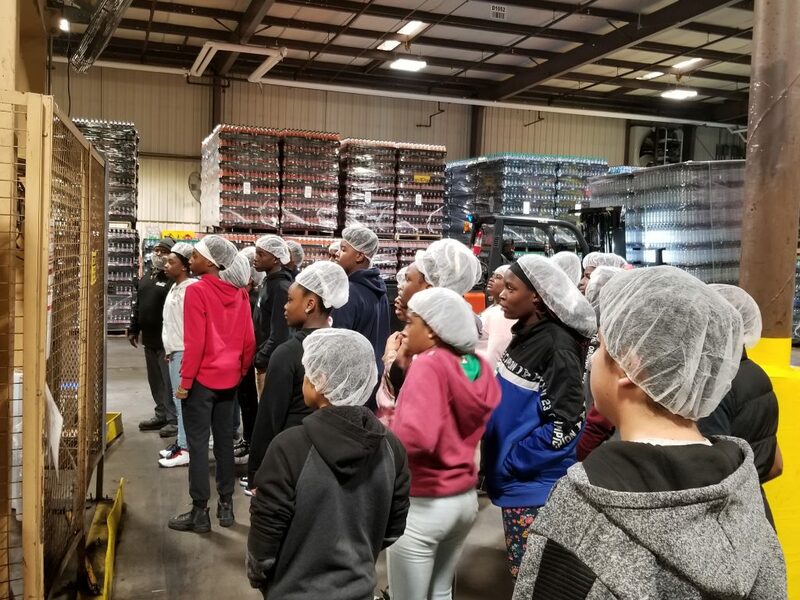 As part of the tour students watched on as thousands of bottles were filled, labeled, palatalized and placed in the warehouse. 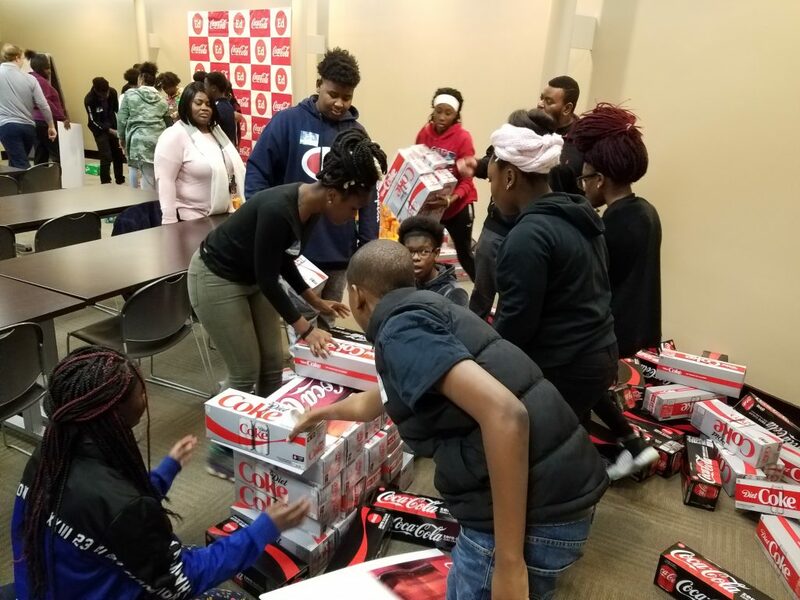 People from our Human Resources team shared with students about career opportunities, skills and education requirements for positions at Coca-Cola. 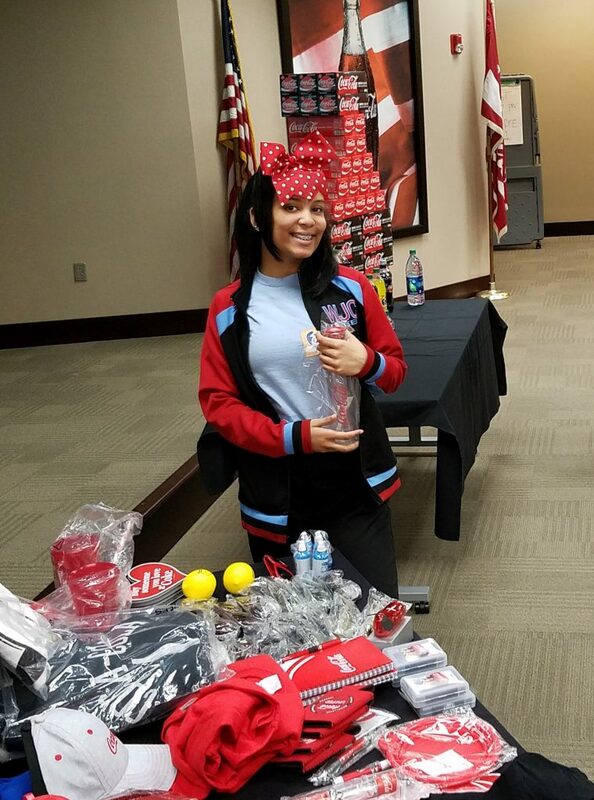 Social media recruiters shared why and how to use new media platforms wisely. 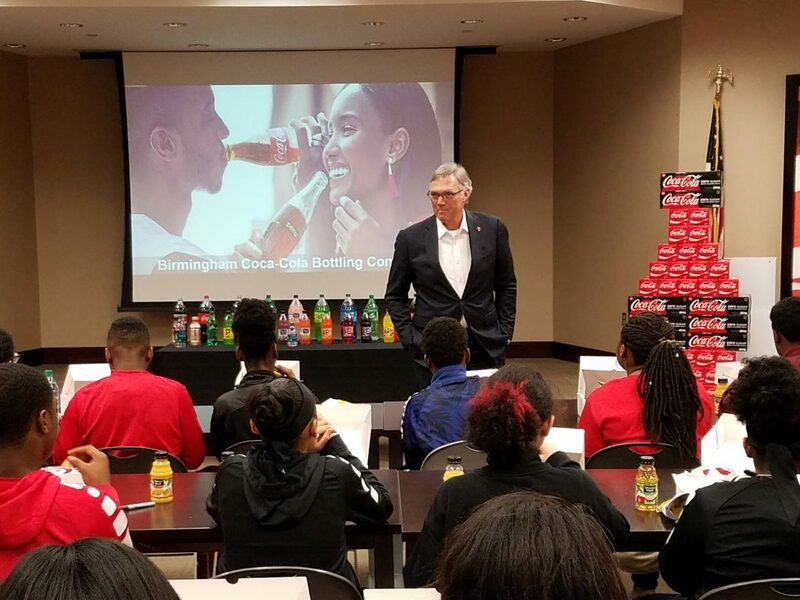 John Sherman, President & CEO of Coca-Cola UNITED, also came and talked with these 8th graders. 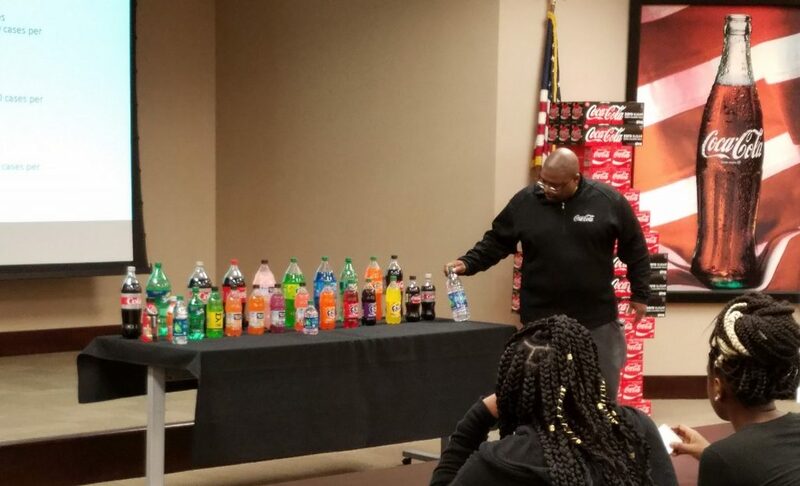 Students participated in fun team building exercises by creating displays- like those seen in your local grocery or convenience store where Coca-Cola products are sold. 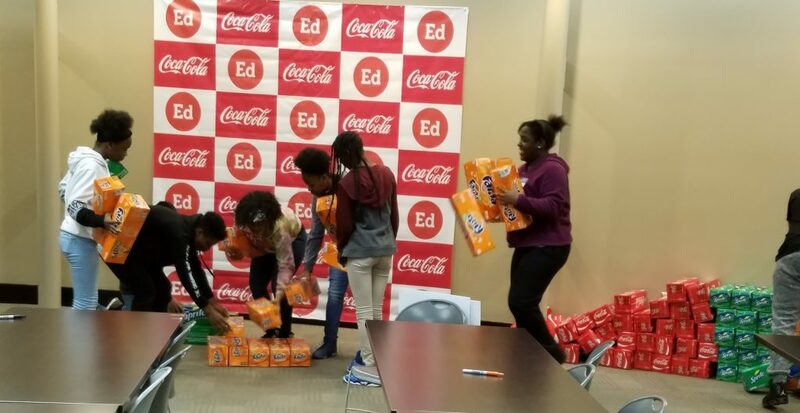 Winning teams took home fun Coca-Cola swag. 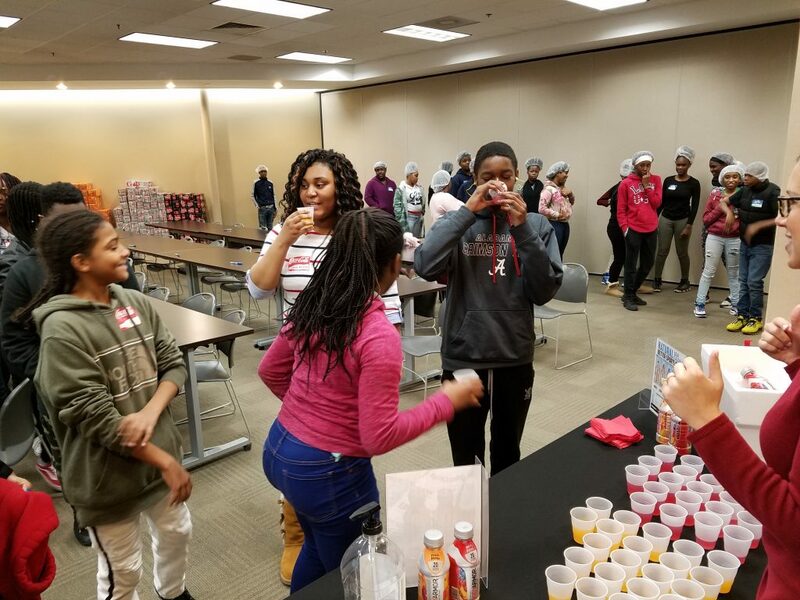 A highlight of the day was sampling a variety of new beverages and flavors, such as Body Armor peach mango and fruit punch. 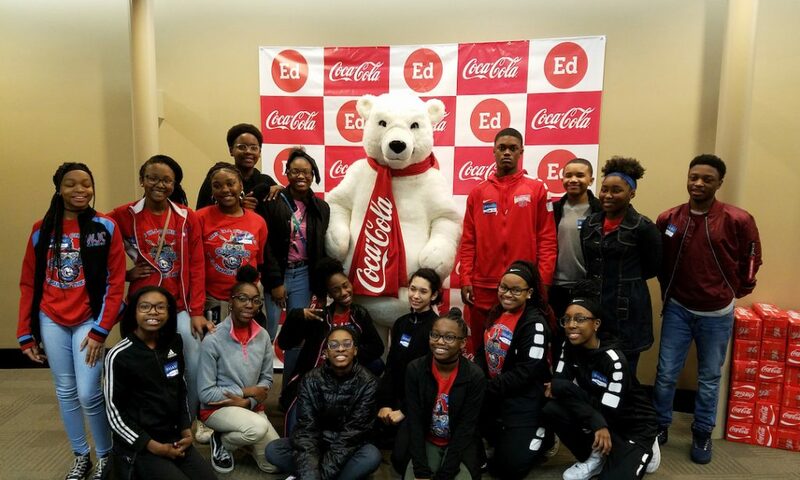 The participating schools – Hudson K-8 and WJ Christian – are partner schools of the Birmingham Education Foundation, which Birmingham Coca-Cola proudly supports.